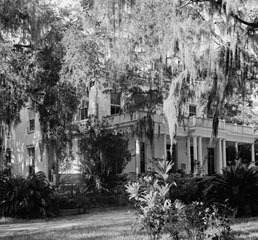 Goodwood Plantation was established in the 1830s in the red rolling hills of northern Florida by Hardy and Bryan Croom as a thriving cotton-producing enterprise fueled by slave labor. 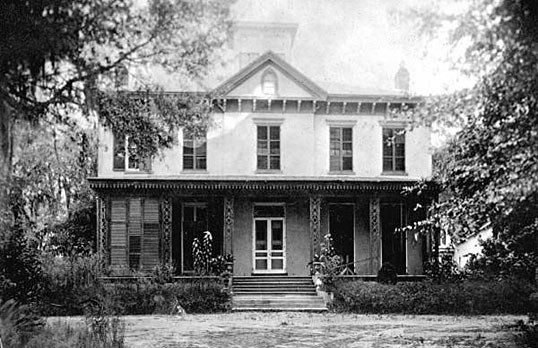 The various owners have added to the buildings and gardens, creating the estate that is now listed in the National Register of Historic Places. A cultural landscape report was commissioned from Robert and Company, and Laura Drummond was part of the team that documented the sixteen-acre property. 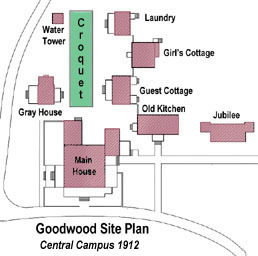 She researched and wrote the history of the site and its owners, as well as the history and descriptions of the eleven historic character areas, encompassing eighteen buildings and structures. 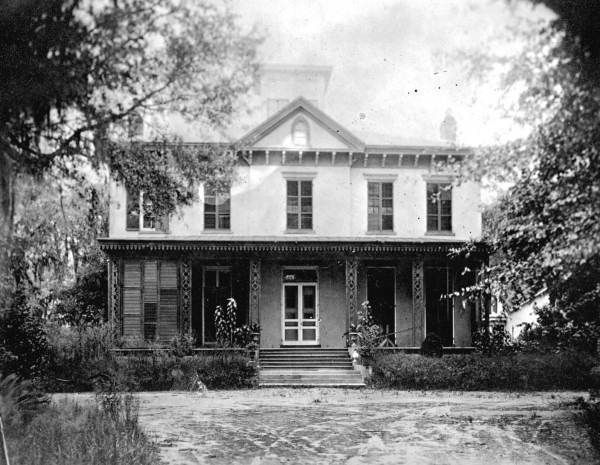 Image, above: Italianate-style main house during the Arrowsmith ownership (1885-1910), probably similar to its original appearance. Image, top right: Main house, southwest corner; Historic American Buildings Survey; Bernard W. Close, Photographer; 18 August 1936.